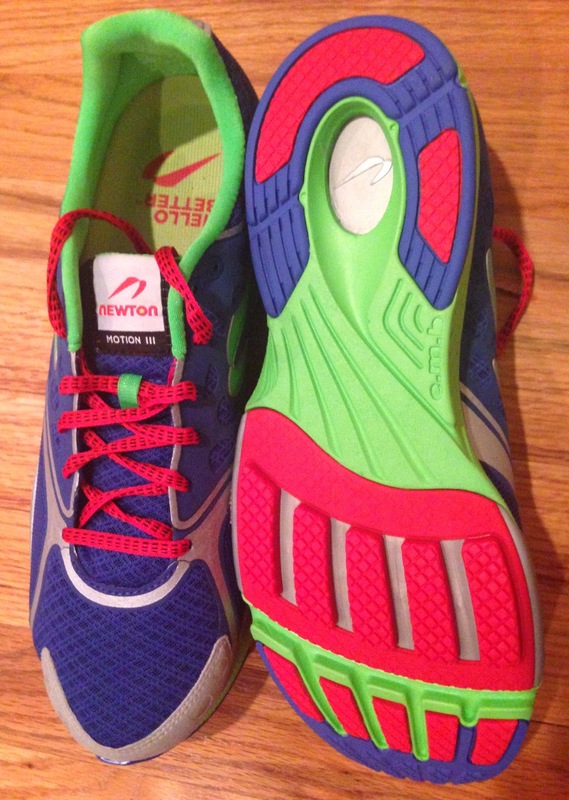 Newton Motions have always been my favorite all-around training and racing running shoe. I've worn them in their prior two incarnations, and, as always, Newton’s Action/Reaction forefoot technology provides springy responsiveness owing to their unique lugs that line the bottom of the sole as shown on my recently arrived Newton Motion III's. The big change in the Motion III's, and my favorite, is the added fifth lug. This, combined with the Extended Medial Bridge (E.M.B) helps the sole of the shoe better align with the foot’s five metatarsal bones, and delivers more cushioning, greater responsiveness and a broader and more stable base. Combined, the added lug and E.M.B. allows for a more balanced and efficient running gait. Newton's Motion III's also provides a new micro-suede overlay on the upper and 360-degree reflectivity for added safety. Unchanged are the Motion III's 3mm drop from heel to toe, as the shoe's near-level platform encourages a more balanced and natural posture, an essential component to efficient running. I found the transition to the new Motion III's versus my prior Motion II's to be seamless. I just tried them on, and they felt great. As a result of my confidence in Newton I wore them with essentially no transition (from my previously running in Motion II's) both on last weekend's Texas Independence Relay (~20 miles in four legs) and yesterday's 4 the Park 4 mile race, and they felt comfortable, stable and responsive. Needless to say, I highly recommend these shoes, and encourage runners new to Newton to try them on at a specialty running store which allows you to get them on the road where they truly shine. Nice review Mark. I'm also a Motion stalwart and have just purchased a pair of the Motion III's after running down two pairs of Motion II's. My main worry is that I have purchased them for a marathon in three weeks time and my training so far has been in the Motion II's. 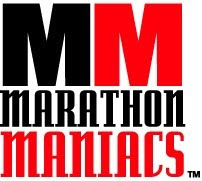 I'll try and get another long run in this weekend to break them in but I don't want to lose that 'magic bounce' ha ha. The last pair of motion II's i wore out of the box felt super comfortable but also super fast hence the reason for holding back on the III's. I'm buoyed by the fact you feel the transition was seamless and will take some confidence from that. Thanks.